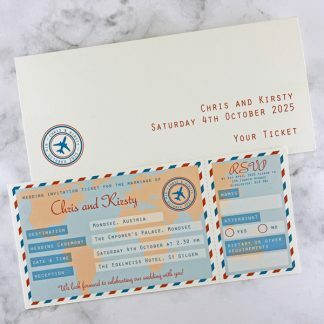 Ticket wedding invitations in a choice of designs. 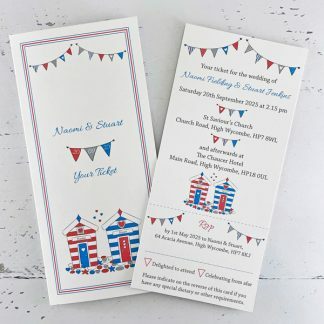 Each design is part of a range which also includes evening wedding invitations and a range of co-ordinating wedding stationery items to use on the wedding day. 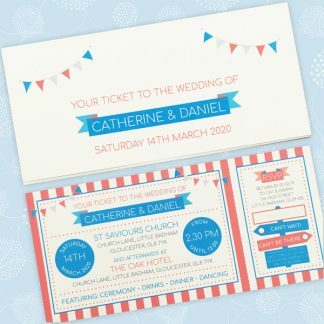 These personalised ticket design wedding invitations all have a fully customisable layout. With each there is a choice of white or ivory smooth card, with envelopes to match. All designs have a colour scheme based on any two colours. 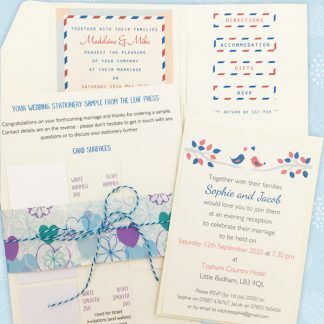 Each of these ticket style wedding invitations with RSVPs comprises of a ticket measuring approximately 9.6 x 20.8 cm. 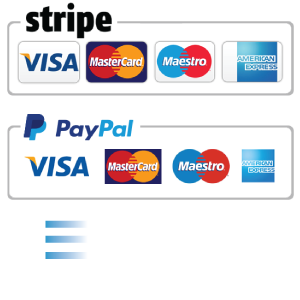 The ticket is presented in a card wallet with co-ordinating envelopes. Why not add a wedding information card, or upgrade to printing inside the wallet, in order to give guests extra information about the wedding. This could include details about transport, accommodation, the menu or gifts.